Only 1 LT model left in stock! 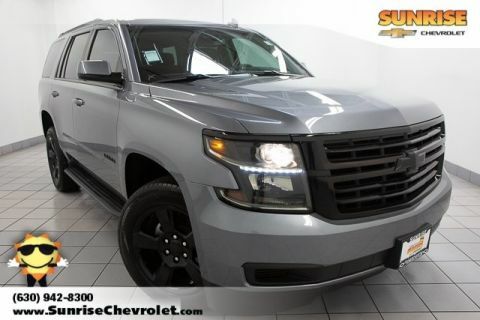 2019 Chevrolet Tahoe Steel Metallic LT 18" x 8.5" Aluminum Wheels, 2nd Row Pwr Release 60/40 Split Folding Bench Seat, 3rd Row 60/40 Power Fold Split-Bench, 4-Wheel Antilock Disc Brakes w/Brake Assist, ABS brakes, AM/FM radio: SiriusXM, Black Assist Steps, Bluetooth® For Phone, Bose Premium 9-Speaker System, Brake assist, Compass, Electronic Stability Control, Emergency communication system: OnStar and Chevrolet connected services capable, Enhanced Driver Alert Package (Y86), Extended-Range Remote Keyless Entry, Exterior Parking Camera Rear, Fog Lamps, Forward Collision Alert, Front & Rear Park Assist, Front dual zone A/C, Front Heated Reclining Bucket Seats, Hands Free Power Liftgate, HD Radio, Heated 2nd Row Seats, Heated door mirrors, Heated front seats, Heated Leather Wrapped Steering Wheel, Illuminated entry, IntelliBeam Headlamps, Lane Change Alert w/Side Blind Zone Alert, Lane Keep Assist w/Lane Departure Warning, Low Speed Forward Automatic Braking, Low tire pressure warning, Luxury Package, Memory Settings, Passive Entry System, Polished Exhaust Tip, Power Liftgate, Power Tilt & Telescopic Steering Column w/Memory, Power-Adjustable Accelerator & Brake Pedals, Power-Folding Heated Outside Mirrors, Premium audio system: Chevrolet MyLink, Premium Smooth Ride Suspension Package, Push Button Keyless Start, Radio: Chevrolet Infotainment AM/FM Stereo, Rear Cross Traffic Alert, Rear Parking Sensors, Remote keyless entry, Remote Vehicle Start, Single-Slot CD/MP3 Player, SiriusXM Radio, Traction control. $7,189 off MSRP! Priced below KBB Fair Purchase Price! The shuttle service is fantastic! Everyone was friendly and the waiting area provided me a place to do some work. Excellent! Julia was more than helpful checking me in, keeping me informed of the work being done on my vehicles, and getting me a ride home. Guillermo provided us with great customer service! I was not happy with the cars I had previously seen and he really took the time to find exactly what I wanted. I am very happy I got to have exactly what I wanted in my my dream car and still pay the price I was able to afford (which is very hard nowadays). Bernardo was also very helpful and patient with the financing part which I appreciated! Especially since towards the end of the closing it can get very frustrating (from all the waiting) he cracked jokes and made me feel comfortable! Thank you Sunrise Team! 90 other people expressed interest in this vehicle! 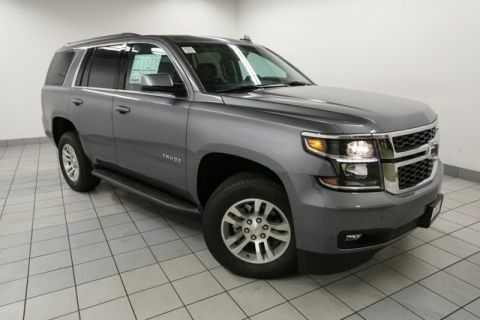 Complete this form or call 630-984-7554 to get our best price on this very popular Tahoe! 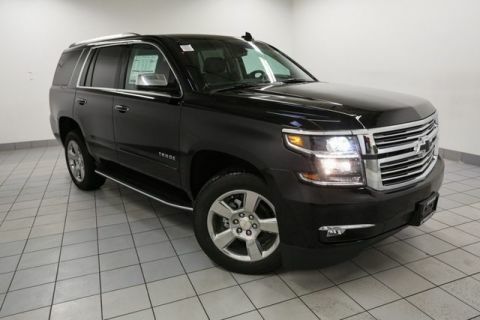 This is a really nice Tahoe! We’ve had significant interest in it today! Schedule a no-obligation test drive online now. Complete this form or call 630-984-7554 to ask us a question about this very popular Tahoe! 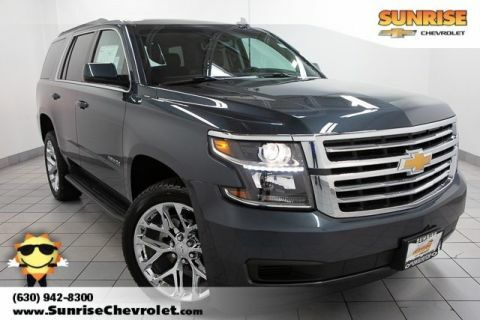 This is a really nice Tahoe! We've actually had significant interest in it today! Easily check if it's still available below.